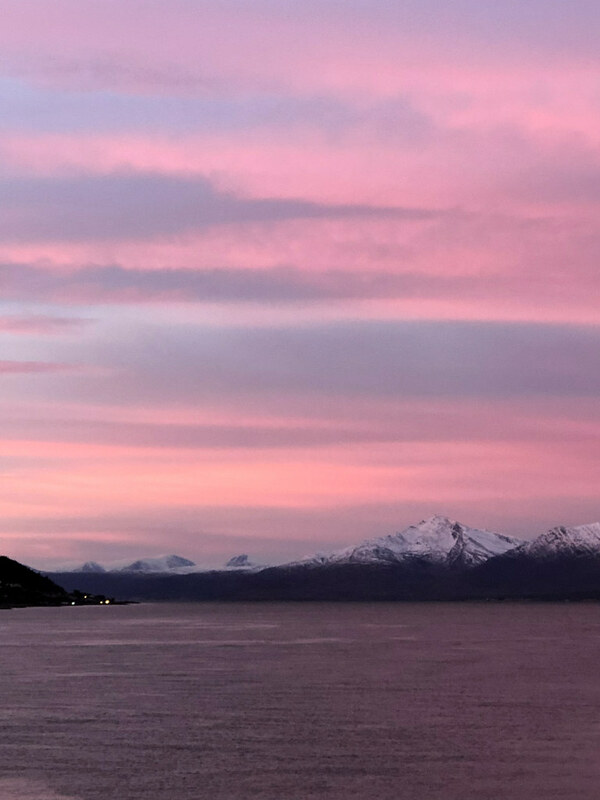 Scandinavian management as a concept and field of study began in the 1980s, with several scholars distinguishing characteristics of the Swedish management style. In 1995, Sten Jönsson’s work in Goda Utsikter, presented several distinct characteristics of the Swedish management style in Sweden. These ‘Swedish management traits’ were described quite comprehensively in his work. The Swedish management style has thus far been studied with various methods, including quantitative methods such as questionnaires and statistics and qualitative methods such as long interviews, grounded theory and the study of organizational narratives. Comparative studies of management styles have also been done between Sweden and America, Latin countries, Britain and Japan. This mainly corpus based study has focused on the study of Swedish management characteristics outside of Sweden, mainly the Swedish management style in Singapore. 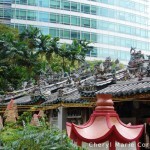 Since the Swedish managed organizations needed to hire locals and local leaders to help steer the organization in Singapore, this meant that they needed to work together with Singapore Chinese managers. The Singapore Chinese management style was thus presented as comparison to the Swedish management style. A study of the Singapore Chinese management style also helped uncover some of the daily socio-cultural challenges faced by the Swedish leaders working in Singapore (and perhaps in Asia). This study has been one that is multi-levelled and eclectic in methods of analysis, with both qualitative and quantitative findings. Both the grounded theory coding procedures and the discourse analysis requires a dialogic, sometimes non-linear interaction between researcher and data, so that it makes it difficult in presenting the findings in the linear system of writing. The linear writing system limits the ability to show this dialogic process that was on going throughout the research process. Nevertheless, the information flow from Chapters 1 to 5 has been aimed to channel the focus to a tri-pronged approach, using the grounded theory coding procedures as data management, using discourse analysis in studying and understanding the Swedish management style in Singapore and then comparing the Swedish management style in Singapore to the Singapore Chinese management style in order to understand the challenges faced by the respondents who need to work in a cross-cultural environment. This information flow in the previous chapters can be approximately represented diagrammatically in Diagram 6.1. • How can discourse analysis be used as a tool to study management in organizations and uncover aspects of ideological patterns in management systems in particular, Swedish management in Singapore? 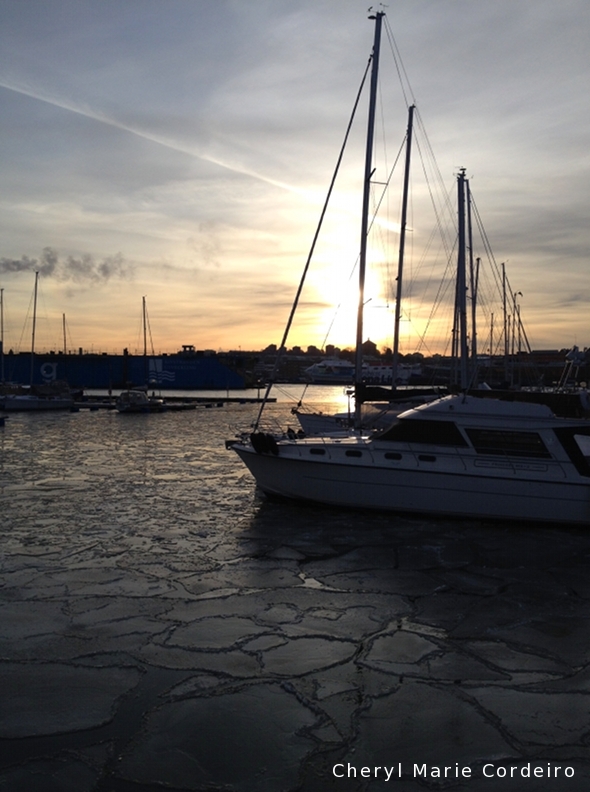 • Does there exist a Swedish management style outside of Sweden, mainly, in Singapore? And if so, is it different from the Swedish management style or model in Sweden? • As comparison, do the value systems of Swedish managers / leaders in Singapore differ from their Singaporean Chinese counterparts’ value system in management? • How similar / dissimilar are each group of respondents’ views on management styles and on the concept of hierarchy? • Do they have any cooperative or integrative efforts when working together? • And if yes, what are these cooperative efforts? The following section of this study will give some concluding thoughts to the questions pertaining to the Swedish management style in Singapore, with thoughts about the questions raised in Chapters 1 and 4. Findings from the analyses of the concepts of hierarchy and assimilation / integration, will also be discussed, along with its findings and implications. The question on methodology from Chapter 1, on the use of discourse analysis as a method to study Swedish and Singapore Chinese management will be addressed thereafter, discussing the positives and negatives of the method used and its future implications for the field of Swedish management studies. As there has been much more data available in the transcribed interviews / corpus than the scope of this study allows to delve into, some further interview sections retrieved from the data to this study from respondents are included in the discussion below. This inclusion of more exerpts of interview segments will hopefully give a fuller view of other perspectives that have been cited and found through this study. Most of the Scandinavian respondents stationed in Singapore have on average a three to five year contract to work in Singapore, a contract that they can choose to extend. 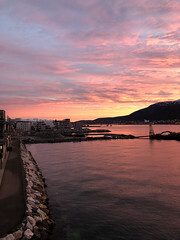 While some have chosen to be in Singapore for a longer period of time, most of the expatriates will leave and return to Scandinavia. This average three to five year span of time in Singapore would leave them with a small window of time to integrate into the dominant society, let alone assimilate. This has the effect of the Scandinavians carrying over their socio-cultural background and knowledge to the new society to varying degrees. And as leaders of the organization, part of their task in steering the organization is to shape and build a strong organizational culture. This sentiment of being a ‘culture carrier’ is reverberated by another Swede working with the regional head office of a Swedish managed organization in Singapore. M and T’s ideology in Swedish corporate culture is also reflected in the organization’s office interior design and use of space, where both offices reflected the use of light coloured pine wood with open spaces, as opposed to cubicles or closed office rooms. 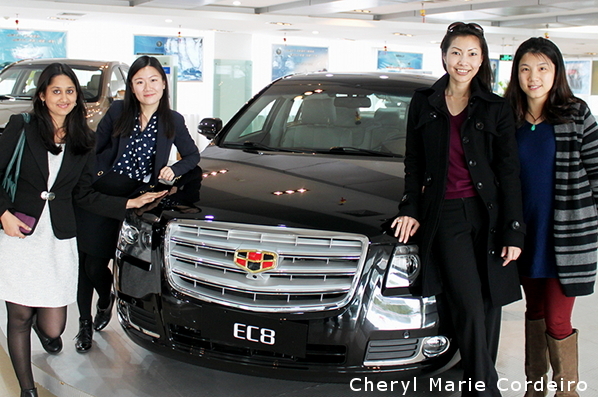 T at the time of the interview for example was regional head for the organization, headquartered in Singapore. His ‘office room’ was an open space towards a corner of the organization floor. There were no walls or doors barricading colleagues and visitors alike. This work space arrangement made him accessible to people in general and the more private meetings with business partners or clients were held either in a conference room or in a sofa set a few feet away from his desk. The ‘open space’ concept,which was reflected in most other Swedish managed organizations in Singapore seemed to be in place to encourage the idea of a lateral hierarchy and to encourage local employees to approach ‘the boss’. L’s account of employees being afraid to greet another who is superior in the organization hierarchy reflects implicitly on the importance placed by the Swedish managers on the ideology and concept of the ‘open space’ office. For the Swedes, it is important that people are accessible, even leaders of the organization should be accessible at all times. This accessibility is then bolstered and encouraged by the interior design / layout of the office space. The open working spaces in some Swedish owned and Swedish managed organizations in Singapore encourage the meeting of individuals of various ranks and titles within the office. The light pinewood and the open space reinforce the Swedish management values and ideology of open discussions, lateral hierarchy and a literal lack of barriers in interior design. 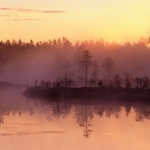 The fact that bringing one’s culture to the job is ‘unavoidable’ and that one brings the experience of what one has learnt in one’s previous connections is also reflected in a characteristic trait of Swedish management described in Jönssons’ (1995) study on the international orientation of Swedish organizations. While Swedish organizations were highly international in their reach, having many foreign subsidiaries, Jönsson (1995) found that organizations in Sweden still preferred if their top managers / leaders had little or no international working experience, since that meant that there were no influences of any Others on their management style. P also brings attention in Example 6.4 to decentralized decision-making, which is one of the values of Swedish management. 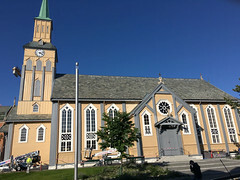 Having worked with Swedes for several years, the process of decentralised decision-making is a known concept to P. Decentralised decisions are also in effect for this Swedish managed and owned organization to the extent of how the parent Swedish organization chooses to govern their foreign subsidiaries i.e. they generally let their foreign subsidiaries decide how things should be managed abroad. The defining characteristic trait of Swedish management seems to be decentralised decision-making as noted by several scholars who have studied Swedish management and noted that Swedish parent organizations had a fairly autonomous running of their foreign subsidiaries. It is from the concept of decentralisation that other characteristics of Swedish management (to a large extent) follow as a ‘consequence’, a rippling effect of characteristics such as a flattening of the vertical hierarchy, since there is no ‘boss’ at the top to go to for approval on decisions, the decisions are made by those involved with the project at hand. This in turn encourages and in some instances, forces employees to begin to take their own initiatives at work and be more creative in problem solving or task handling. Creativity encouragement in employees in the Swedish management style was also found in studies by Tichy (1974), Sjöberg (1986) and Jönsson (1995), with mention of it in Carlzon’s (1987) book on Swedish management in Scandinavian Airlines. M in Example 4.k also highlighted the point about employees taking their own initiatives and learning to become decision-makers in a Swedish managed organization in Singapore. M noticed her employees becoming more creative and taking on greater responsibilities as she mentioned, definitely two people here on a management level that have taken this opportunity. B (in Example 4.n) also seemed to touch upon decentralisation and a flattening of the vertical hierarchy when he tells of how he prefers that his local staff handle all that administration…client customer contacts… selling etc because B deems the locals to have ‘local knowledge’ advantage that he may not have. If B did have local knowledge advantage, he in any case preferred the locals to carry out business administration for the organization. D notes that the locals get surprised when a ‘western guy’, usually associated with being in Asia for the purpose of knowledge sharing / transfer and running an organization, does ‘manual labour’ or literally working with the hands, a job that is often associated with low pay in Asia. As M said in Example 4.k, i cannot say okay, you take care of this, but i also check what you do, you cannot do that, so you have to decide if you can decentralise responsibility and then stay. This in effect means that once the Swedish owned organization in Singapore decides to decentralise, it begins to take upon a different ideology and approach to management, where building trust is essential within the organization i.e. the management needs to trust that others have the capacity and ability to make good and sound decisions within the organization. And just as employees are trusted to make decisions, in Swedish management, the leaders correspond and build trust with their employees and colleagues by taking the responsibility if a mistake occurs. In Jönsson’s study (1995), this characteristic trait was referred to as the building of trust and that Swedish management in Sweden was impartial and objective, where situations are evaluated based on facts. M had also raised this point of taking on the responsibility for a mistake in her organization in Example 4.k, i will still have the responsibility if they make a big mistake / it’s still mine, which she contrasted sharply with the Chinese leadership style, he did not do his best for his people / he did whatever he could for himself first, meaning that a Chinese leader would be more inclined to push the blame onto a subordinate and then fire that person since the Chinese leader is supposed to be ‘all-knowing’ and s/he should know what is ‘the right thing’ to do. This study also found consensus seeking and open discussions as connecting aspects to the informal style of Swedish management. These aspect of Swedish management emerged during the coding process, the results of which were presented in Chapter 4.The coding processes showed that the concept of consensus seeking seemed a non-existent concept for the Asian respondents or at least it ranked very low in interest for the Asian respondents, with only 30% of the Asians speaking of it, compared to the 61% of the Scandinavian respondents speaking of it. The topic of open discussions however, was more a shared topic between the two groups of respondents. The characteristic traits of consensus seeking and open discussions were also found in several other studies in Swedish management. G has also had the experience of the phrase ‘the boss is the boss’, where the Chinese took him to be the all-knowing superior who should make all decisions related to the organizations, but his management ideology was to have a consensus; a consensus of how to do things and how the organization should move forward. Such open discussions tended to prolong the decision process, but for G, the implementation thereafter takes place faster with consensus, as he says, the reason why consensus is good is that it speeds up implementation usually because people understand why things should be done. Although H seems to appreciate the non-opposition from Asians, the findings in this study from the coded topics from Chapter 4 and the text examples above indicate that Swedish leaders in Asia actively practice consensus seeking and that open discussions are often conducted with colleagues and employees on future organization plans. 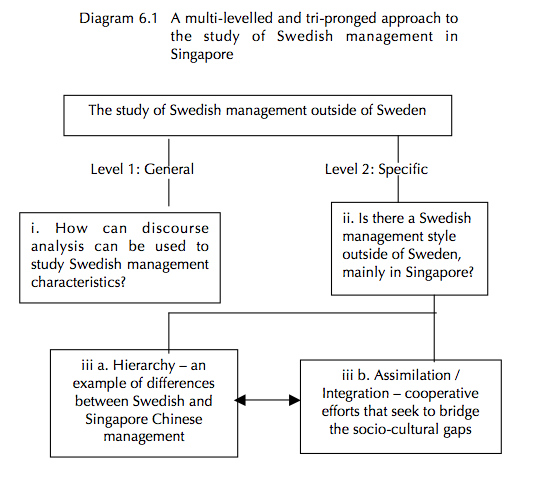 From the findings of this study, a model of the Swedish management style in Singapore is derived and represented in Diagram 6.1, where the two main characteristics of Swedish management found in the data, that is clearly present in Asia are decentralisation and consensus seeking. Decentralisation and consensus seeking as Swedish management characteristic traits were also found in Jönsson’s (1995) work on Swedish management in Sweden. These characteristics in turn, encourage other Swedish management values to surface, as noted by 1a, 1b, 1c and 2a in Diagram 6.1. The solid lines indicate related values on the management level whilst the dotted lines indicate values that surface on the employee level as a result of Swedish management values employed on management level. The two characteristics of informal style of management (1b in Diagram 6.2) and consensus seeking (2 in Diagram 6.2) in management are interconnected, the former possibly encouraging the latter characteristic, which is shown by the line with long dashes. 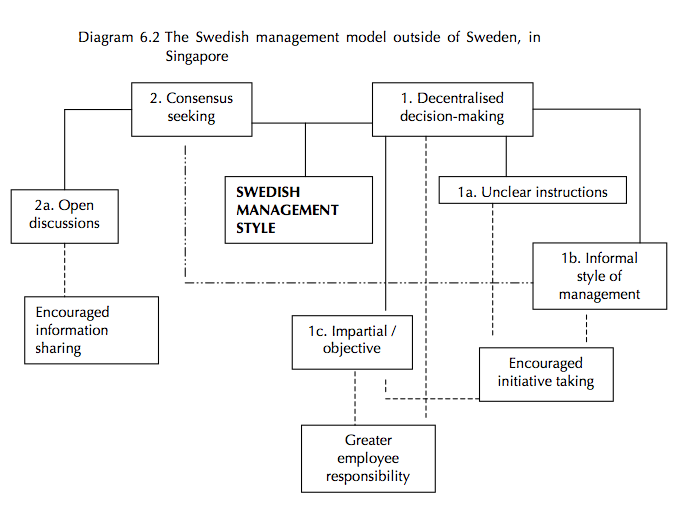 The Swedish management characteristics, with its ideology and values in Swedish managed organizations in Singapore are in part presented in Diagram 6.1 above. Most of the characteristic traits in Diagram 6.1 can be seen to relate to a flattening of the hierarchical pyramid, so that hierarchy within a Swedish owned and managed organization in Singapore would demonstrate values related to a lateral hierarchal structure. When it came to how the respondents viewed hierarchy within organizations, the coded topics in Chapter 4, Table 4.15 for example, showed that the Asian respondents, although working in Swedish managed organizations, still functioned with a point of view of vertical hierarchy. G in Example 4.m for example, was very clear that he wanted only to deal with the decision maker, which he deemed was equivalent to the number one man or the boss. And when P in Example 4.p wanted to solve problems, he used a military analogy and referred back to who has more stars on the shoulder, with a strict vertical hierarchy in order to decide whose method was to be used to solve a problem, ‘the Swedish way’ or ‘the Singapore Chinese way’. For P, there were no midpoints or compromises in the solution to problems. There existed no ‘Scandinasian’ way of doing things with part Scandinavian and part Asian solution to the problem. From G’s point of view, speaking with any other person, other than the top boss, would be a waste of his time. G knew he was head of the organization and wanted to do business with others who were in the same capacity as he. That the first instinct when doing business in Asia is to look for ‘the right person’ to talk to, is reflected in another Singapore Chinese respondent’s comment on office size and interior design for a managing director. In Asia, status symbols are also hierarchically ranked, so that the Singapore Chinese managing director for example, has to have an office that reflects her / his rank or title, thus reflecting on her / his power of status within the organization. In Example 6.8, N speaks of his point of view on interior design and how he believes a managing director’s office should look in design. But N’s point of view on interior design and size of office is in disagreement with the Swedish counterpart. N’s point of consideration for a large office is related to how he understands the local clients’ view on status symbols. So while the Swedes may have a more egalitarian ideology and approach in organization values, reflected in the open space concept of most Swedish managed organizations in Singapore and where the managing director has an ‘open corner space’ with a modest sofa set for visitors, the locals who visit these Swedish managed offices may not understand the Swedish values. The local visitors or clients will use architectural features or interior design ornaments to help identify the top person or the boss of the organization. If this ‘boss’ did not have the pre-requisite signals / symbols of power, such as a large office, a large sofa for clients and visitors, then there may not be any further business discussions to be had. The analysis of the use of the word boss in Chapter 5 also showed that the Asians had a different concept of what is a boss and what a boss does in her / his capacity at work. The ‘patriarchal’ ideology is sometimes extended to the office where bosses are not only all-knowing but also seen as ‘benevolent’ persons who look after the welfare of the employees, outside of work. The ‘benevolent’ factor is perhaps also the reason why bosses are able to decide on the dress-codes in the Singapore office, as Singapore Chinese respondent Y mentioned in Example 5.1.3c. The people in that organization had let the Swedish boss decide the office dress-codes, and when s/he decided that ‘summer wear’ all year round was approved as office wear, the staff began to wear ‘summer wear’ to the office. Singapore Chinese Y deemed this much more informal than other organizations in Singapore where staff generally had to have a shirt / tie or skirt / suit combination through the year. The idea that Singaporeans generally lacked initiative and that they had little freedom in the organization compared to what a Swedish leader would prefer for the employees is reflected in the coded topics of the Organization category and in Tables 4.15 and 4.16 of Chapter 4, where the two topics of freedom of action within company and Singaporeans as lacking initiative were spoken of by more than 50% of the Scandinavian respondents. This same topic hardly drew more than 30% interest from the Asian respondents. 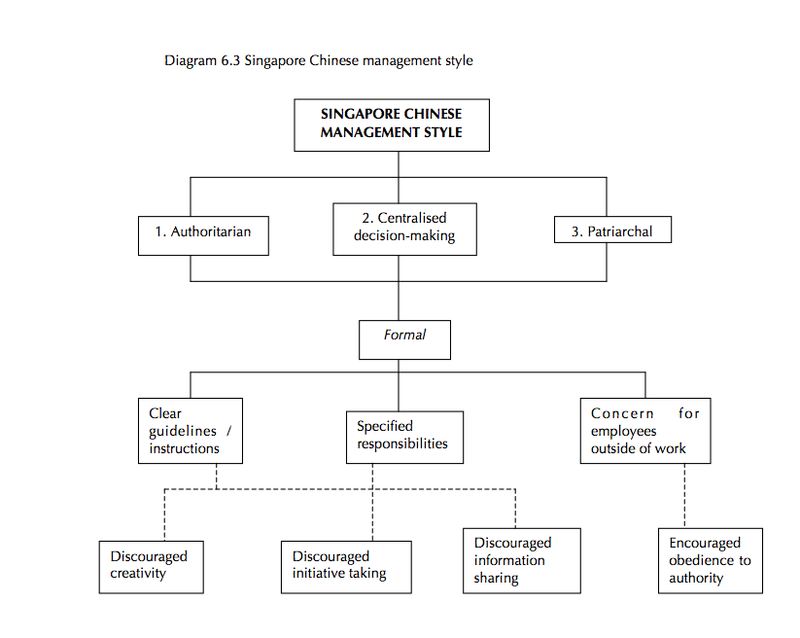 From the results of the coded topics in Chapter 4 and the discourse analysis findings, a derived model of the Singapore Chinese management style and system of values is shown in Diagram 6.3. The solid lines indicate values at management level and the dotted lines lower in the diagram indicate the effects of the leadership style on employee behaviour. The values and ideology of the Singapore Chinese management style found in this study seems to concur with the findings in studies done by McKenna and Richardson (1995), Lillebö (1996), Selmer (1997), Osman-Gani and Tan (2002) and Bala (2005) in that they have vertical structures of hierarchy and centralised decision-making. This authoritarian leadership style in turn, discourages creativity in employees, a finding that is also related in other studies including Chan and Pearson (2002). As the ideology of the Swedish management style is quite distinct from the ideology of the Singapore Chinese management style, each pushing for a different organization structure and workings within the organization, cultural clashes are expected at the workplace and power positions need to be constantly negotiated between these two management or leadership styles. The coded topic of assimilation / integration that occurs in the Society category indicated high interest in the topic by both groups of respondents, with more than 70% of all respondents speaking of it. How the respondents were speaking about assimilation / integration and how many were talking about the topic of assimilation and integration respectively are unclear if one were to only look at the results of the coding procedures in Chapter 4. As assimilation and integration are processes that take place through time, it would be difficult to tell with a synchronic linguistic text analysis, the extent of assimilation or integration achieved by the Scandinavian respondents into the Singapore society when working in Singapore. The discourse analysis has however, helped uncover and reveal some assimilation or integration efforts by the respondents and it revealed some information about the cooperative efforts of the respondents when working together. A ‘words in context’ analysis showed that the word assimilation was used only by the Singapore Chinese respondents and it was used in a manner that related to the efficient acquiring of skills or in the context of how Singapore as a small country was flexible enough to adapt to economic changes. Only one instance was used to refer to assimilation into society and that was used in reference to the respondent wanting to learn the language of the dominant society. Considering that the average working contract of the Swede or Scandinavian is about 3 –5 years, with a possibility to extend the working contract after 3 – 5 years, the number of years that an expatriate Swede would spend working in Singapore would not lend much time for a full process of assimilation to take place. The presence of a Swedish Business Association of Singapore and their activities through the year also indicates that the Swedish presence in Singapore is distinct and appreciated for its identity and cultural values. So the idea of integration rather than assimilation into the larger Singapore society seems to be preferred by both groups of respondents. With institutions such as the SBAS existing in Singapore, most analysis findings and interview data seemed to indicate assimilation of Swedes into the Singapore society to be an unlikely scenario. 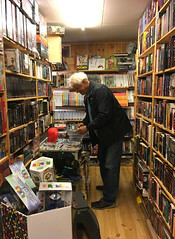 Non-assimilation is also indicated from the manner in which the Swedes talk about their identity and the way they choose to manage the organization. M in Example 4.k for example, sees herself as a ‘culture bearer’. 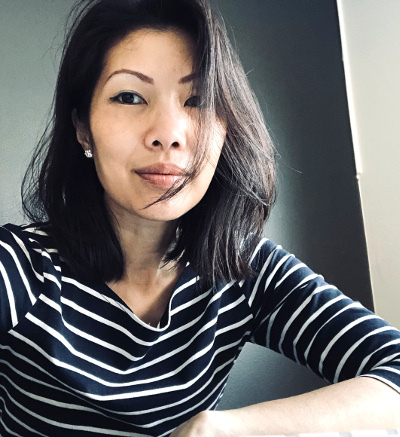 Part of her responsibility in Singapore is to see that Swedish values are transferred from the parent organization in Sweden to the Singapore subsidiary. B in Example 4.n was the Swedish respondent who had been in Singapore for about 26 years at the time of the interview and even he commented, i feel very much swedish not less swedish no, when asked if he identified more with Swedes or with Singaporeans, after being in Singapore for so many years. B also used the word integrate rather than assimilate, and even with integration, he felt there to be a limit, it is a limit how much you can be integrated there as foreigner in any country you get into it you have a good living you like it but there are certain er limit. The analyses indicated strongly that the Swedes do not assimilate into the Singapore society during their stay in the country, whether at work or at the social level. Findings also indicate that integration as a process seems to be a constant struggle for both Swedes and Singaporeans. The struggle is indicated by how the respondents use words such as limit (B in Example 4.n) and not easy (J in Example 6.12 below) to describe being an expatriate at work in Singapore. There seems to be a struggle too, in understanding one another where Singaporean Chinese P in Example 4.p mentioned that it was best to leave the room or find a better time to come back to iron out disagreements. 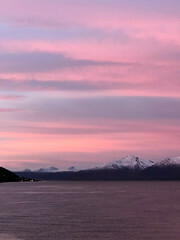 These efforts at integration can be found both in the domain of the office (or organization) and within the domain of friendship and social activities outside of work. The understanding is that there are differences in culture but one has to respect these differences and that these differences are not necessarily negative but rather, they contribute to the overall fabric of the organization and to the overall fabric of society. The key is that a fine balance be struck between the differences, where each culture contributes their special facets to the integrated whole. As indicated by C’s experience in Example 6.12 and as the study of the words assimilation and integration in Chapter 5, section 5.2.3 indicate, language plays an important role for both groups of respondents when trying to understand each other. Another way of striving towards a better understanding of each other in less stressful situations would be by sharing jokes. 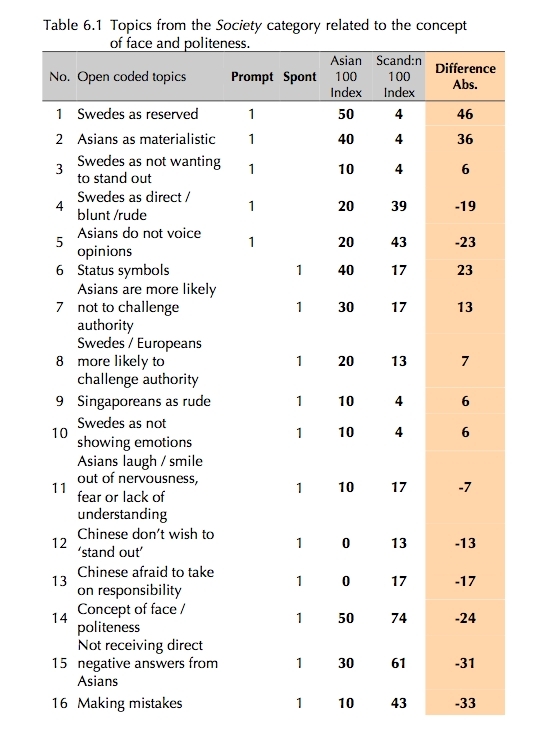 But Table 5.8 in Chapter 5 revealed that most found that the Other had a different sense of humour and that the Swedes used humour in a different manner, such as to relieve an uncomfortable situation, whilst the use of humour to relieve stress or ease an uncomfortable situation is not a popular means of using humour for the Singapore Chinese. 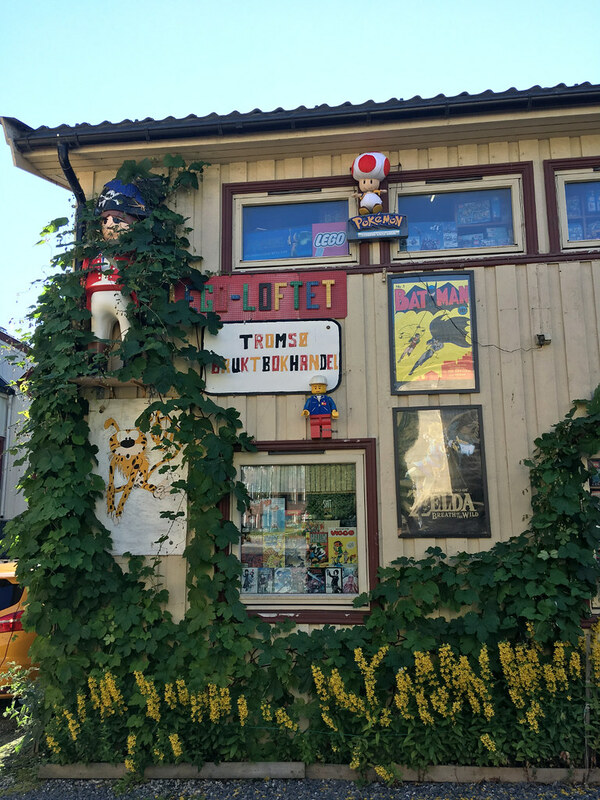 Some language barriers also affected the sharing of jokes, so that jokes often fell flat and people were left wondering if they had laughed at the right moment or if they had laughed at the right punch line. The Singapore Chinese also often used the word joke to refer to something ironic that has happened and not as something humorous per se. As such, the efforts in sharing jokes and trying to get a social group to gel is also difficult for the respondents, since if an attempt at telling a joke failed, it would rather have the effect of confirming the socio-cultural gap and differences in values of the two groups. From the respondents’ feedback, socializing efforts outside of the organization and efforts at integration beyond the organization seems more difficult and less focused in efforts. The findings suggest that both groups hardly get a chance to get to know each others’ cultures in any depth and discussions are not had about their different values, religion, beliefs, customs etc. outside of work. 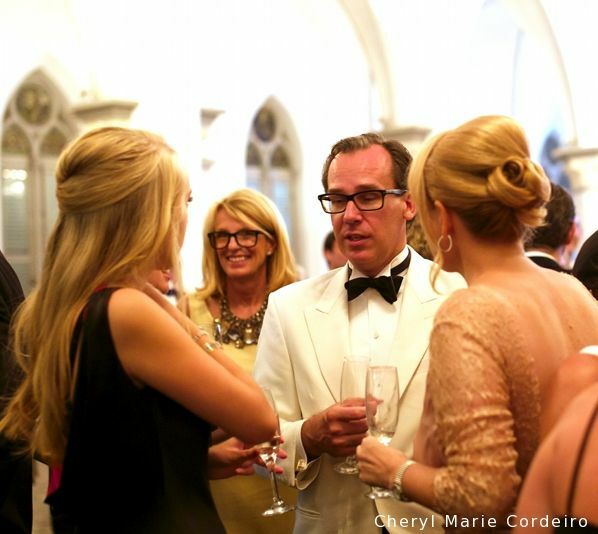 So while the Swedish expatriate community in Singapore is seen as contributing to the overall multi-cultural fabric of the society, it does not necessarily mean that the Swedes and locals socialize to any great extent and build lasting friendships between them. Discourse is a process that is socially situated and the study of discourse or discourse analysis as a method has been applied in a variety of fields of study from linguistics, anthropology, gender studies and social psychology to political science and artificial intelligence. There are various ways to study discourse and conversation within the field of discourse analysis. This study drew specifically on systemic functional linguistics (SFL), critical discourse analysis (CDA) and words in context as instrumental linguistic tools, to study the Swedish management style in Singapore and subsequently, to study the Singapore Chinese management style in comparison to the Swedish management style. The purpose was to reveal / uncover the underlying ideologies or everyday assumptions of Swedish and Singapore Chinese top level managers of Swedish managed organizations in Singapore. Discourse analysis as a method allowed for the conception and study of language along three dimensions, that of the (i) lexico-grammar level, (ii) understanding of context and (iii) uncovering of implicit ideology. Beginning with linguistic details in the first dimension, discourse analysis allowed for the fine-grained analysis of linguistic features, so that the choices of vocabulary and patterns of language of the respondents could be traced and systematically analyzed. This resulted in tabulated numbers of certain features such as mood adjuncts, the number of negatives used in clauses, modulation and modalization words etc. so that a well grounded interpretation of the findings could be arrived at when it came to text analyses on hierarchy and assimilation / integration. In the second dimension, discourse analysis allowed for an understanding of the context behind the discourse. Part of what was said in the interviews for example, could be recognized as part of a genre of ‘organization talk’ (within the Organization category); this included if one was talking about the company background or company culture, and how the business was run etc. Within this ‘mode’ of thinking and speaking, the respondents could then give insight to the ‘background’ workings of the production of the discourse since they as individuals interact with the environment and with their colleagues on a daily basis, so that what they say during the interviews would reflect upon them as participants in a continuous dialogic relation to their organization surroundings. They both perceive and describe the things they see and the happenings around them, including the relations they find themselves in at work and how they feel about such things, happenings and events. The discourse formed and reflected in the interviews is thus part of the relations and perceptions formed of the speaker and her / his context. From the understanding of context in discourse, a third dimension can be accessed via discourse analysis and that is an investigation and understanding of the ideological processes behind the discourse, from the respondents so that socio-cultural differences and differences in values can be uncovered to reveal the points of departure and to reveal where the gaps begin to widen and where they begin to come together when the respondents work together or try to socialize outside of work. As mentioned towards the end of Chapter 3, a criticism of discourse analysis is that studies in discourse analysis are highly interpretive in nature, requiring knowledge and experience on the part of the researcher. It is therefore not a process that is value-free. In any discourse analysis study, there is also a recurring problem of which text to choose for analysis purposes. Within critical discourse analysis, the choosing of a topic of analysis and thus a discourse text for analysis is quite specific. The goal of the discourse analysis in itself will tend to guide the selection of the discourse text to be analyzed. 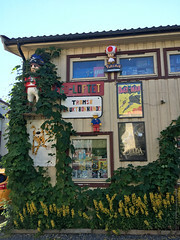 For example if one were to study the construction of femininity in male magazines to see how women were represented in male magazines, then the discourse material would come from selected male magazines, perhaps the best selling male magazines on the shelves where certain feature articles and regular feature articles in the magazine could be selected as study texts. If the discourse analysis had to do with specific news articles and governmental power play, then texts relevant to that aim will be studied in order to uncover power relations between government institutions. What would be common ground for the selection of texts for analysis is that they are representative of the situation under study. It is with this aim of relevancy that the texts in this study have been selected. The tools available for discourse analysis are also vast, so that most practitioners are left to determine which tools are best used for their purposes. In order to make the selection of texts and their analysis more stringent and systematic, two approaches were employed that include, the grounded theory coding procedures as data management and the use of a systemic functional linguistics framework. The aim of these two approaches is to help make this discourse analysis study one that is primarily corpus based, where the transcribed interview data would ‘speak for itself’ as it were, and point towards the more salient topics, topics that show themselves prominent enough for further investigation. Although the coding procedures in grounded theory are also interpretive in nature, many of the topics were ‘in-vivo’, reflecting concepts that came about from the words used by the respondents themselves when talking about a topic. This resulted in concepts that quite directly reflect the spoken data. The systemic functional linguistics framework also had benefits in that it offered a systematic model of language analysis, so that patterns of language use could be identified in varying degrees of detail. The broad aim of this study is to contribute knowledge and research to the two fields of Swedish management studies and discourse analysis studies. 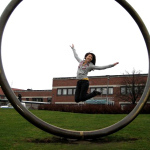 Swedish management, being in the field of organization studies, has been studied mostly via quantitative methods such as questionnaires and statistics. Some qualitative methods such as grounded theory, narratives, story telling and the use of organizational texts such as annual company reports have also been used to study Swedish management. As such, the use of an applied linguistics method of study such as discourse analysis in studying Swedish management was aimed at complementing previous Swedish management studies in the field, in terms of methodology. This study also aims to contribute knowledge to comparative studies of Swedish management. In this case it is a comparative study of the Swedish management style and the Singapore Chinese management style, compared along their ideological dimension with their understanding of hierarchy and to find out if there were any integration efforts from both sides to produce a ‘Scandinasian’ management style. 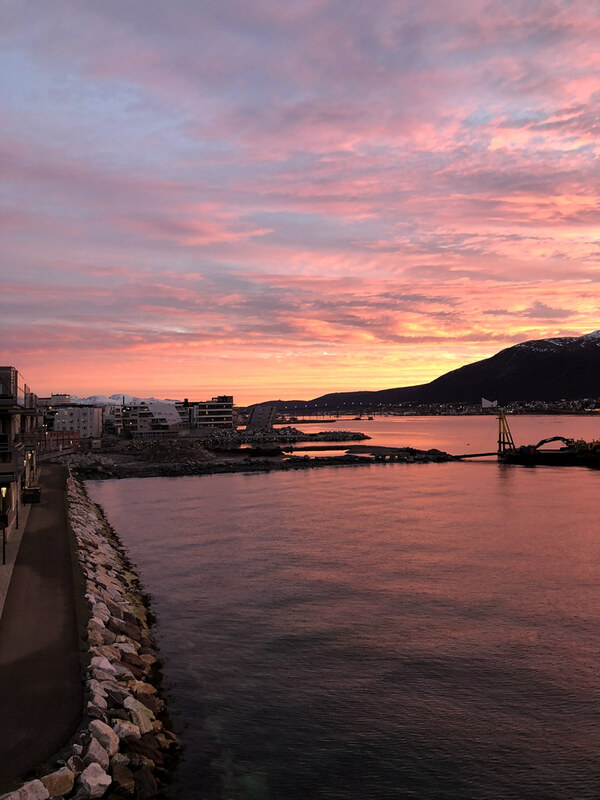 While neither group developed a Scandinasian management style, this study lends insight into how different the two management styles are in effect and how those differences were addressed by the individuals working together in the same organization. Whether a hybrid management style develops could possibly be determined with a longitudinal study of the Swedish and Singaporean managers in Swedish owned and managed organizations in Singapore. A further study in this direction is a comparison of the findings in this study to other important studies on organization culture, that of Hofstede (1980), Hogberg and Wahlbin (1984) and Hofstede and Bond (1999). Discourse analysis was used as a complementary and perhaps an alternative method of studying Swedish management. The method of analysis which is discourse analysis used in this study is traditionally qualitative in nature; although the results presented in this study have been both qualitative and quantitative in nature. The coding procedures of grounded theory were applied as a data management tool in order to further systematize the selection of texts for the discourse analysis, thus making this study one that is primarily corpus based. The large amount of data (about 49 hours of interview time and 540 A4 pages of transcribed data) meant that only a very small percentage of data could be investigated in this study. Only the top 50% of the topics in Organization category that belonged to the concept of hierarchy and then assimilation / integration was investigated. This leaves five other categories and many more concept topics to be investigated; the other main categories of interest being the Society category, which contains the largest number of topics after the Organization category, and the Individual category, which contains the largest number of spontaneous topics from the respondents. A full analysis of these categories would give further insight into the lives of the Swedish managers as expatriates in Singapore and their relationships with the Singapore Chinese counterparts. The Society category contained 77 topics that revolved around social issues and what the respondents thought about socio- cultural issues in their respective societies as well as that of the Other. Within this category are also perspectives of what each group thought about the Other in terms of culture and perhaps impressions of the Other. The topic of concept of face / politeness is one that is a spontaneously occurring topic in the Society category (no. 14 in Table 6.1). Table 6.1 gathers 16 topics from the Society category that can possibly relate to the topic of concept of face / politeness. Table 6.1 is sorted according to prompted topics, followed by spontaneous topics and by absolute differences in descending order. Topics with the greatest differences in concern for both groups of respondents should show up at the top lines Table 6.1. Some topics such as 11, 13, 15 and 16 have been referred when discussing hierarchy and assimilation / integration (no. 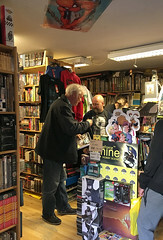 11 in Table 6.1) in Chapter 5. But these topics together would form a concept to be investigated, where representative texts that focus on these topics from the respondents can be selected and analysed linguistically in a comparative study of face and politeness between the two groups. The purpose of investigating the topic of concept of face / politeness is to gain an understanding of the Asian concept of politeness as compared to the Scandinavian concept of politeness. The findings would be useful for business purposes, or international relations, especially during negotiations. Six topics from the Society category could also be said to relate to a gender perspective of things from the respondents, whether it’s in leadership or commentaries of the respondents on socio-cultural relations in general. Table 6.2 shows topics with a gender perspective from the respondents. The topics are sorted according to prompted topics, spontaneous topics and then by absolute differences in descending order. 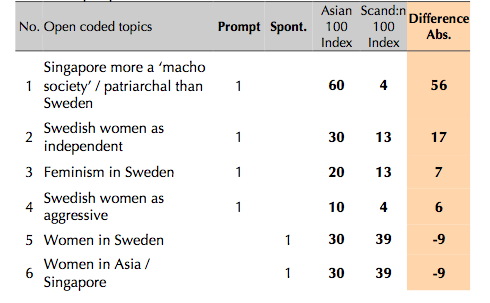 Although the gender related topics are mostly prompted, as shown in the table above, talking about the roles of women in Sweden and in Singapore seemed to be more spontaneous topics from the respondents, mostly the Scandinavian respondents. It would be interesting to investigate further, what exactly the respondents were talking about and referring to when they talked about the roles of women in these societies. The findings can also be compared to studies made by Geert Hofstede since his study revealed Sweden to be one of the more feminine (if not the most feminine country) and egalitarian countries among the 40 countries he surveyed. Singapore by contrast to Sweden, would be a more masculine society and one with stricter gender role expectations. The purpose of investigating this dimension would be to see if women leaders had a distinct and expected role to play in Asia in the near future. Will there be any business consequences in terms of a successful or unsuccessful deal, if Sweden were to send a woman leader to run the foreign subsidiary in Singapore? How are women leaders viewed in Singapore? These questions and more that relate to the gender perspective can be investigated further, by using the data in this study. This category has 33 topics, most of which are spontaneous. The Individual category contains in fact, 76% of all spontaneous topics from the entire data, which makes it a significant resource for investigating personal experiences and tracking life outside of the working area. While Chapter 4 gave a presentation on this category with some references to the topic of food and some insights into what the individuals thought about working overseas (see Example 4.d, Chapter 4), a further investigation into this category, with an analysis of more text examples could tell about the individuals interviewed and their perspectives as leaders of an organization, lending insight into their personalities, character traits and what they do outside the organization when they are not acting as leaders for the organization. This category lends a ‘human’ side to the respondents and could well reveal ‘success’ characteristics of persons who do well on the international scene. Table 6.3 shows 23 topics that relate to an individual’s ‘personal sphere’. The table is sorted according to prompted topics, spontaneous topics, followed by absolute differences in descending order. A deeper investigation into the topics above could well reveal the ‘personality traits’ needed for a person to be efficient on the international scene. It hints at their mentalities and how they view the world and their willingness to ‘go abroad’, adapt to a new environment and learn about Others. One purpose of further investigation into this perspective is its usefulness and applications in the field of human resource management and manpower allocation. The data findings could be useful for human resource purposes, when an organization needs to find the right person to send abroad. They will need to profile the person who is not only most qualified for the job but who is also of the personality to be most efficient on the job in a foreign country. If organizations are able to profile ‘successful leaders’ who can work abroad efficiently, the knowledge will in turn lower costs for the organization in sending persons overseas for the leadership roles since most often, the families of these leaders will be accompanying them, and their living such as transport fees, home and furniture fees as well as subsidised school fees for the children are in part, sponsored for by the Swedish organizations. Table 6.4 shows topics from both the Individual and Organization categories that relate to the topics of knowledge and knowledge transfer. The topics are sorted according to prompted topics, spontaneous topics, followed by absolute differences in descending order. Topics related to ‘knowledge’ include information technology, information sharing and networking. 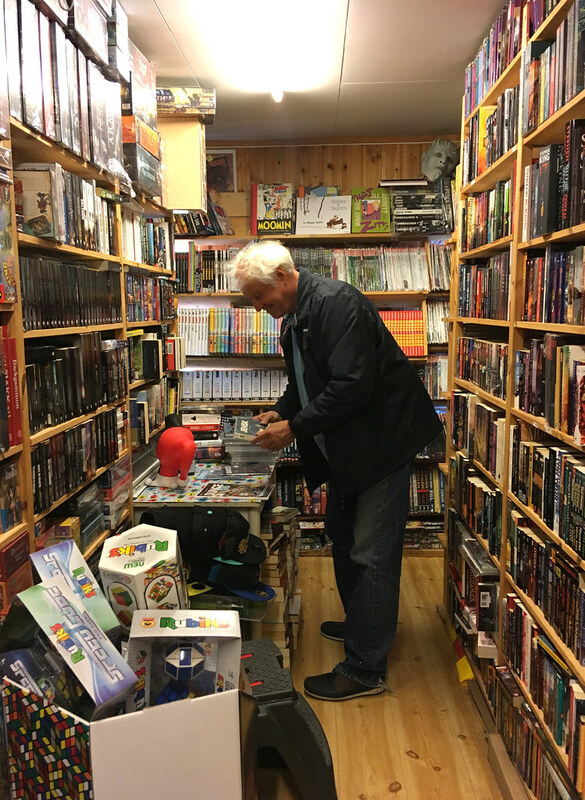 There exists different kinds of knowledge and one reason for Swedish organizations to send Swedes overseas is because of the need to spread specialized knowledge on products and procedures. 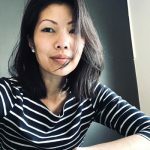 In Chapter 5, Swedish respondent M (in Example 4.k) mentioned that she saw herself as a ‘culture bearer’, that her job, apart from leading and steering the organization in Singapore, is to bring to Singapore a sense of what is ‘Swedish’, whether it was values, culture or interior design. In other words, M was transferring knowledge from Sweden to Singapore. It is not however, only cultural knowledge or values that get transferred with Swedes being in Singapore, but more concrete knowledge and business know-how, whether it is knowledge in starting up a paper factory in Asia or knowledge in how to run a specific machine etc. Sometimes, it is the individual’s own personal knowledge of the Asia-Pacific region and how they do business in that region that warrants that individual being in Asia. Further study into the topics below on knowledge and knowledge transfer may reveal what kinds of knowledge are being transferred from Scandinavia to Asia, in what ways and what kinds of knowledge are transferred from Asia back to Scandinavia, since the Swedish leaders will take their experiences from Asia back with them to Sweden, should they return after their contract expires in Asia. 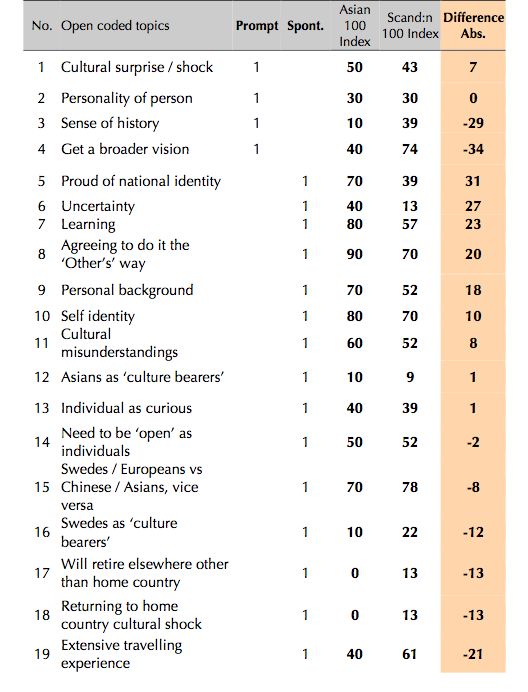 Table 6.4 (and as was seen in Chapter 4) shows that the Asian respondents are more interested in learning (no. 2) and in information technology, whilst the Scandinavian respondents aremostly speaking about the transfer of knowledge and expert knowledge specialization, taking on the role as ‘teachers’ of knowledge. The purpose of a further study into these topics with an analysis of texts would be to understand what kinds of knowledge are being transferred and how that might be done in an efficient manner. 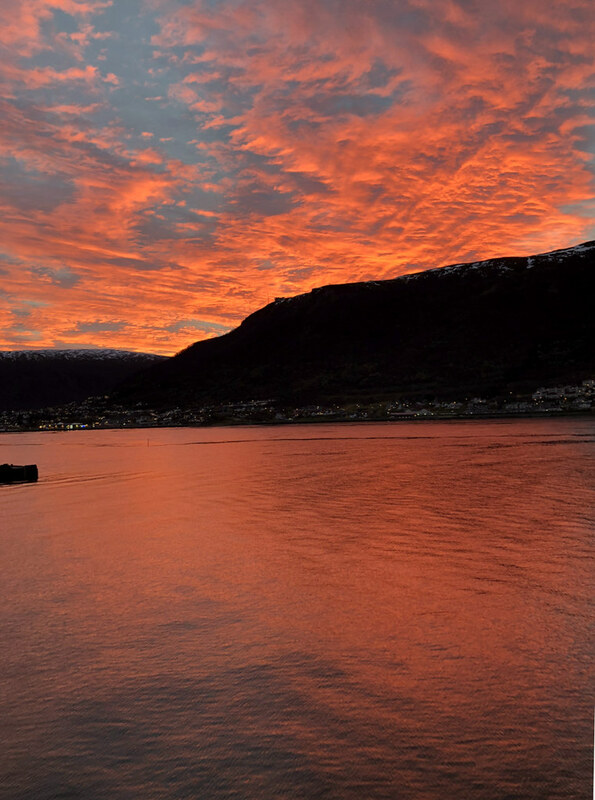 Do the Scandinavians take home new knowledge from Asia? A comparison of these findings to Jönsson’s (1995) work can also be done in that, Jönsson found it to be a disadvantage for Swedish leaders to work abroad and bring home new knowledge since the Swedish organizations may not appreciate a difference in cultures and values between those who have worked overseas and those who have worked mostly in Sweden (Jönsson, 1995:322ff). These findings will also be useful for human resource management and manpower allocation for Swedish organizations for example, who may need to reallocate those with overseas experience to other foreign subsidiaries. It may also be cost beneficial to send those with an international experience to other foreign subsidiaries due to their prior international experiences. The study of knowledge related topics could also be investigated in relation to the implicit and explicit topics, since the areas of implicit and explicit topics were left quite unexplored in this study. Tacit or implicit knowledge of the respondents, as they relate their experiences and how they approach doing things to solve problems or when negotiating etc., may be uncovered by studying patterns in these areas. In the course of speaking, the respondents may reveal knowledge that they may not know they possess. These patterns of knowledge may be revealed with the application of discourse analysis on interview segments. This study hopes to have given some insight into a complementary method of studying, investigating and understanding Swedish management in Singapore, and to understand something about the Singapore Chinese management style, its values and beliefs, which result in a different organization ideology when compared to the Swedish management style. Generally, the findings on what makes Swedish leaders successful in a foreign environment and the uncovering of different kinds of knowledge, would be beneficial for future Swedish leaders in foreign destinations, where the cost of Swedish organizations to send qualified persons to a foreign subsidiary would be considerably lessened if the right persons, not only in terms of technical knowledge but who possess the personality for the overseas job were deployed. 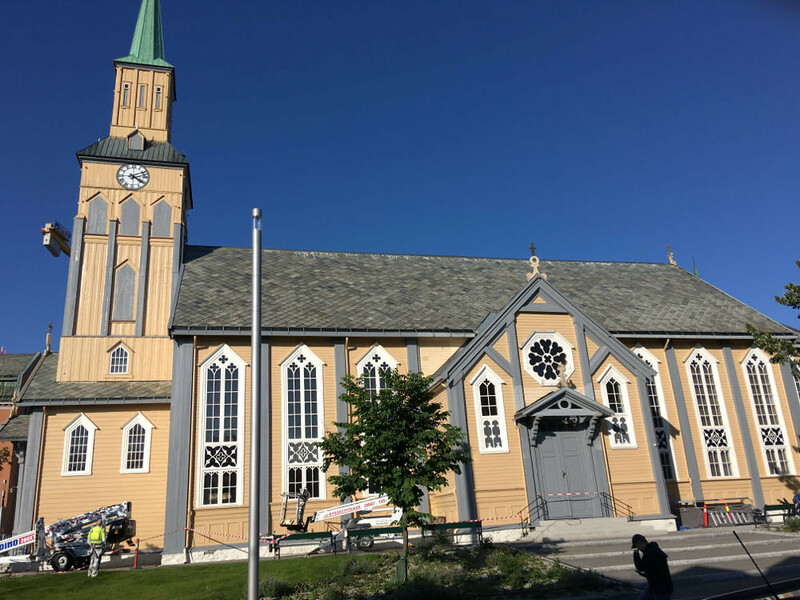 Swedish or Scandinavian organizations would also do better if the right strategies of managing a foreign subsidiary were used, especially in the field of human resource training and cross-cultural sensitivities to similarities and differences between cultures. A further development of this study is to bring / introduce the method of analysis and the approach to investigating management styles to the commercial sector, so that organizations are able to readily access the information needed to make more cost effective and strategic decisions for their international ventures.